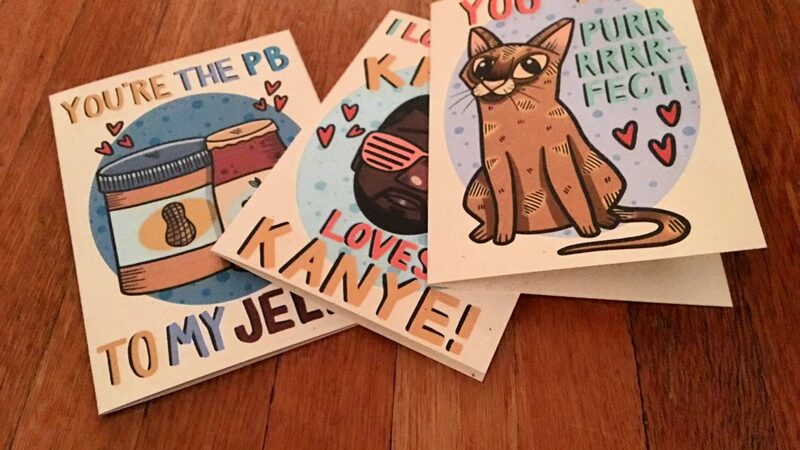 Born with a rare spinal disorder, artist Alyssa Andrews sends out custom Valentine's cards to strangers every year so that no one feels alone. 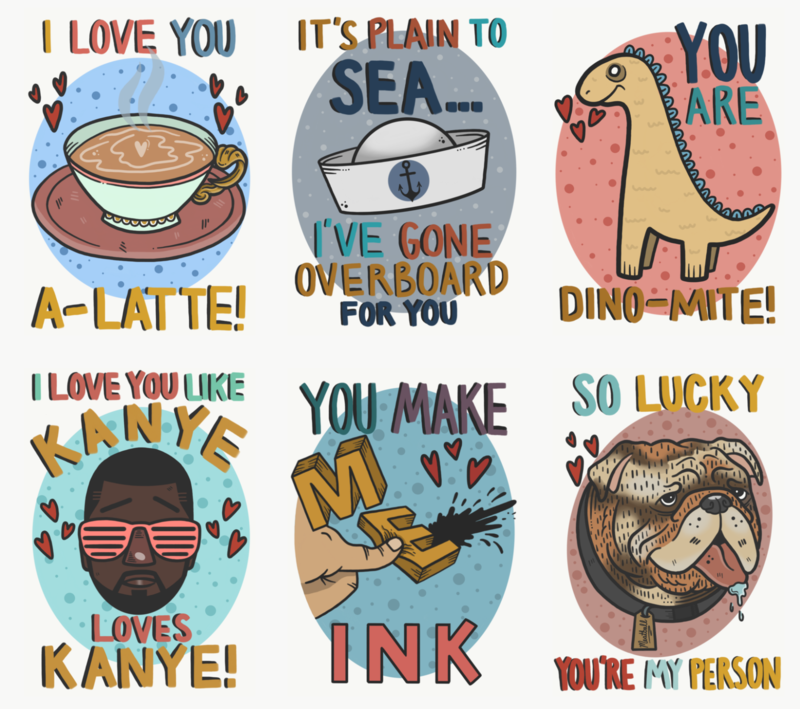 This year, Alyssa Andrews mailed over one hundred Valentine’s cards. Last year, she did the same. 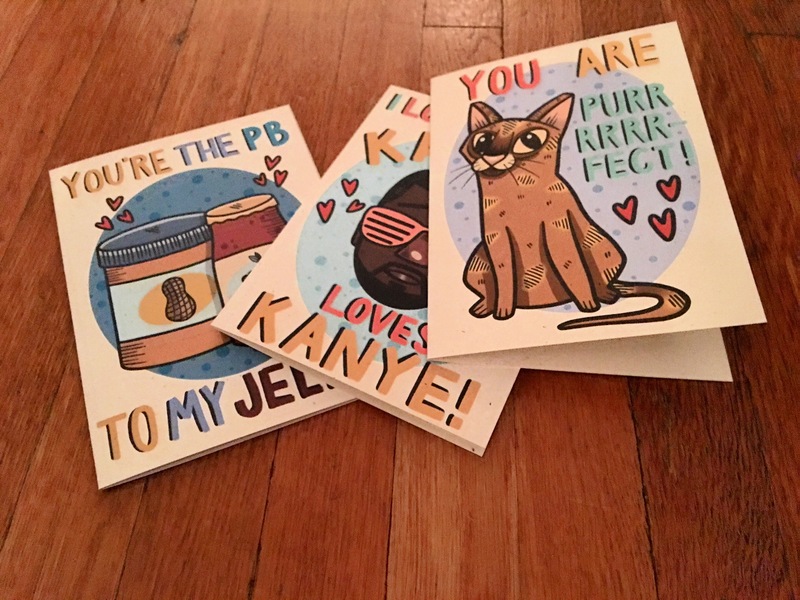 But as she explains to me in an interview, the 29-year-old illustrator based in New York City is not a Casanova, but an empath: She takes requests for custom cards, designs and creates them by hand, and mails them out to members of the queer community who need some cheering up over the holiday season, all free of charge. While the holidays are touted as positive and fulfilling, for people who lack support systems or healthy personal relationships, they can feel overwhelming and isolating. As a queer woman who lives with a rare and chronic condition that impacts her ability to walk, Alyssa knows all too well the importance of human connection and kindness. Alyssa Andrew in her New York studio. When Alyssa began her Valentine’s project in 2016, she posted her offer in online groups for the queer community. What started as twenty responses from those local to her tristate area quickly grew to over one hundred requests, including from around the globe. 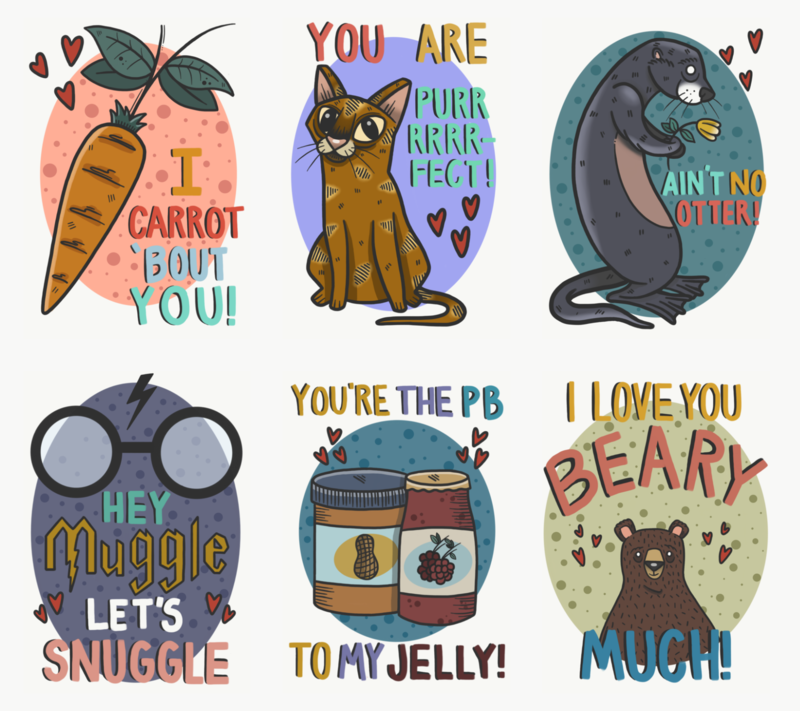 Some of Andrews’ card designs. This year, Alyssa has had a similarly big response, with a common thread between those all of those whom reached out: Most everyone wants to know how they, too, can give back to strangers in need. It both warms my heart, and kind of breaks it–that an act of kindness anymore is almost met with suspicion of some sort. In terms of craft and production, the artist developed a system that worked within the confines of her apartment space: First, she spreads big sheets of bristol paper on the floor and puts a grid out for each card. Then, she uses Prismacolor markers to create each design by hand. Once the design is complete, she cuts the card, records it as a “complete” in her spreadsheet, and prepares it for the mail, which her partner helps her organize and send out. Organization, Alyssa notes, is key to keep the project from becoming overwhelming. “Believe it or not, the process is a lot like being a kid and coloring on the floor when you parents are being boring adults,” she jokes. Last year, Alyssa survived her 53rd surgery. 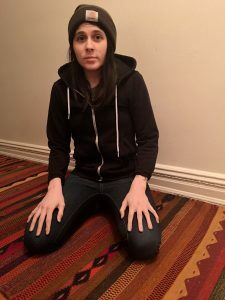 Born with Myelomeningocele, a rare and complicated form of a neural tube defect, Alyssa’s identity as a marginalized person exists in multiple planes: She is a woman, she is queer, and she lives with a life-long disability. For this reason, she understands all too well how important it is to show care and kindness to those around her, from her partner, to her coworkers, to strangers on the street. Like others with Myelomeningocele, Alyssa was born with a “tethered cord” in her spine, meaning that a mass formed in her spine as she was developing in the womb. Now, she lacks a complete spine and lives with a tumor that has grown and pinned her spinal cord beyond its typical position. At 18, complications caused incomplete paraplegia. A decade later, Alyssa can walk again, but she lacks feeling in her lower extremities and her blood circulation is poor. Alyssa’s cards are not only custom drawn, but also include a personalized message. Some people request cards for themselves, in which case Alyssa writes them a note full of encouragement. But a surprising amount of people request cards on behalf of others, continuing the circle of kindness. Andrews hopes her cards will make lonely people in marginalized communities feel accepted. Alyssa’s medical history is a complicated one, but she refuses to let it define her. “There’s a lot of public misconceptions about my abilities; my intelligence; constant questioning of my body and what may have happened to it,” she shares. “I don’t often give the satisfaction of explaining myself to people, but I do strongly advocate against being used as anyone’s inspiration simply for being,” she explains. I think no matter who you are or what you’re facing, it’s so easy to feel devalued or unseen in the world. At her core, Alyssa is all about the positive actions she puts into the world.